Amazing view from the second floor living space. Second family room w/ exit to grilling deck. Queen pull out. Second floor, fully equipped kitchen with breakfast bar. Master bedroom with private full bath. Master bathroom with separate shower and tub. 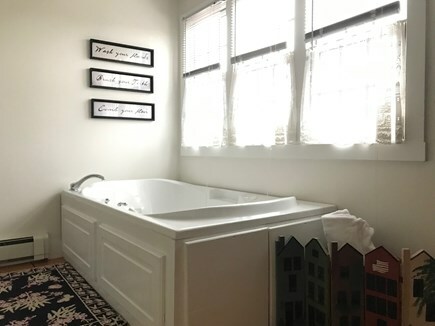 First floor, twin bedroom with attached full bath. Sunroom w/full futon opens to back yard and shower. 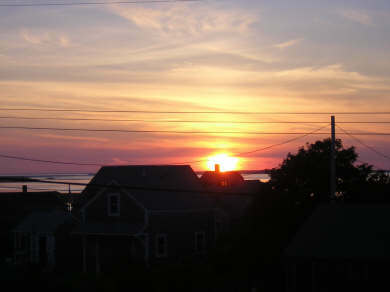 A Madaket sunset...best on the Island, right outside your window. 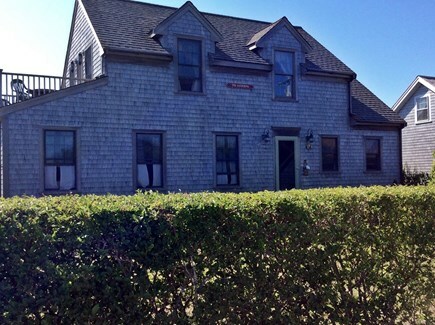 Welcome to our multi-bedroom home ( sleeps 8 ) in the Madaket Harbor area of Nantucket. The house is newly restored and in perfect working order, from the kitchen appliances,with island and wine cooler. The first master bedroom has a queen size bed, with a walk in closet, jacuzzi tub with separate 5'shower and bathtub and double vanities. 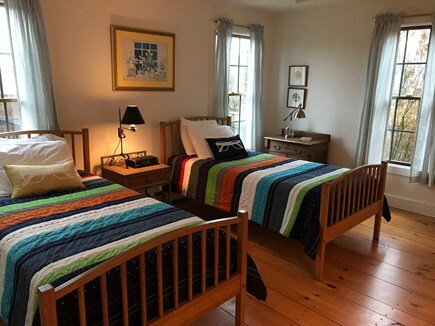 The second bedroom has twin beds, closets, and full bathroom. 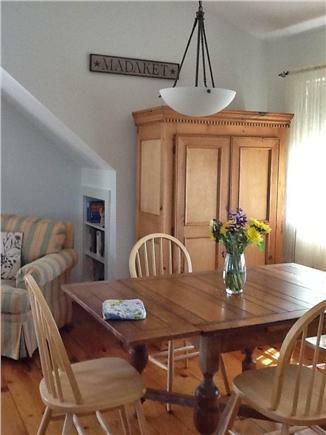 The house features comfortable furniture and appointments in the Nantucket style with wide pine floors. 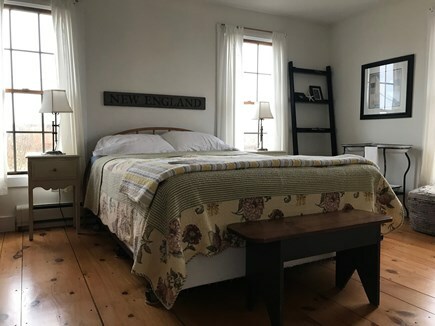 In addition to the two master bedrooms with their own private bathrooms, family and guests can relax or sleep( futon )in the summer room found through the French doors on the first floor. The family room located upstairs (for the view) also includes a pullout sofa. The combination kitchen/dining room is completely stocked starting with the wine cooler right down to the lobster crackers. 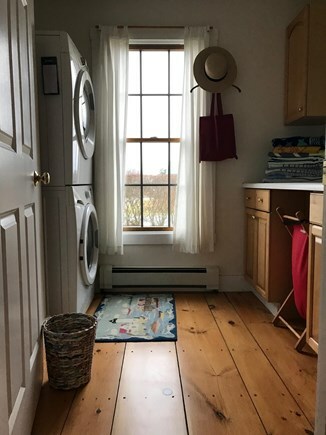 The separate laundry room (downstairs) is equipped with a full size washer/dryer. The first floor deck opens to the privacy of an enclosed backyard and outside shower. 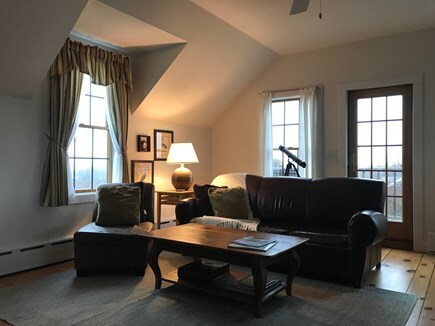 You will enjoy spectacular views of Hither Creek and Madaket Harbor known for its breath taking SUNSET over Tuckernuck Island. All of this is visible both from the living room upstairs as well as from the upper deck. 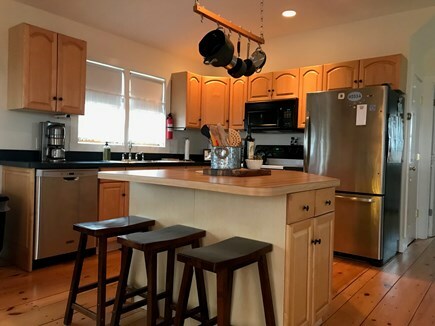 The ''Gathering'' is located 60 seconds from the ocean and a short stroll to one of the best beaches on the Island, so close you can hear the waves breaking at night....no need to drive, Madaket Beach is only a few minutes within walking distance. You won't be disappointed. Additional availability info: one week minimum rental July through October. Price range negotiable after mid September. This is a Saturday to Saturday vacation rental. Thank you so much for your kind words. We love the Island too and wish that everyone at 17 Washington Ave enjoy that same moment. It will be great to see you again this summer. A short walk away from the beach and Millie’s, it’s the perfect spot to spend time with family, friends, and loved ones. 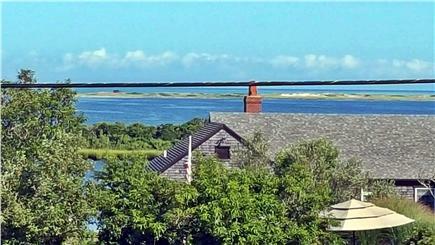 Beautiful view of the famous Madaket sunset and close to The Wave shuttle stop if you feel like going into town. I have many happy memories in this house and plan on making many more. I stayed at The Gathering in late June, and both the house and location were perfect. It is just a quick walk down the street to the Madaket beach, which is never crowded and offers sunsets only a smog-free island like Nantucket can provide. 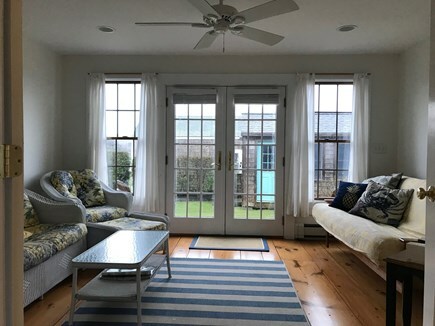 I have been coming to Nantucket for over two decades, and I am now convinced Madaket is the best place to stay on the island. I don't know how it took me so long to rent a house here. A true reprieve from crowds and tourists, a stay at The Gathering is a genuine, old school vacation. This was my best Nantucket trip yet. 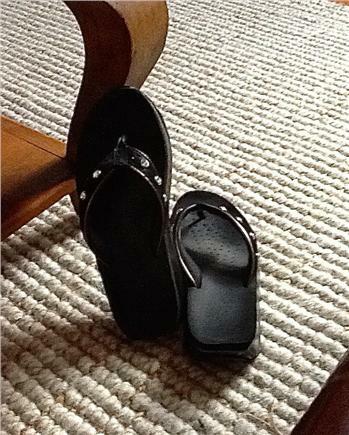 The house itself appeared newly remodeled, and provides everything you need with comfort and style. Several bedrooms, three bathrooms, a large living room, a comfortable and spacious basement, a strategically located terrace with views of the sunset, and a great outdoor shower. An historic bar/restaurant is located at the entrance to the beach, serving classic "Madaket mysteries" and tasty food. If you want to head to the center of town (why? ), you can drive/cab or take a $2 bus ride from a stop 3 minutes from the house (leaves every 30 minutes). Finally, the owner Kathleen responded immediately when I mistakenly thought there was a problem with the wifi (there wasn't: The issue was with my laptop). This isn't the first time I've stayed at The Gathering, but since I keep returning I thought it's high time to leave a review of it.